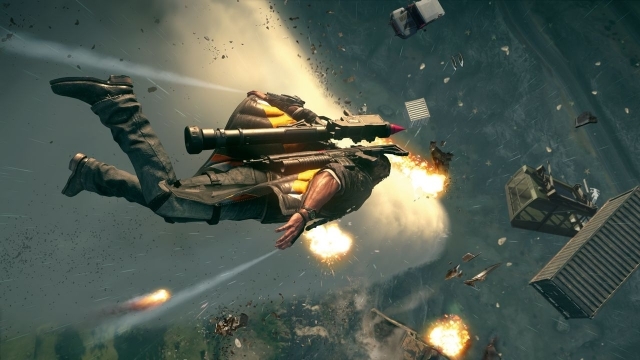 The Just Cause series has had its fair share of ups and downs over the last 12 years. Since its inception in 2006, the politically-charged sandbox game has allowed you to liberate a few islands and explode a great many things along the way. The first game was a fine sendoff for the original Xbox, but shined brighter on the Xbox 360. That game saw the series grow its wings and shine in ways that couldn’t have been possible before as the scale increased and the overall pace was sped up. 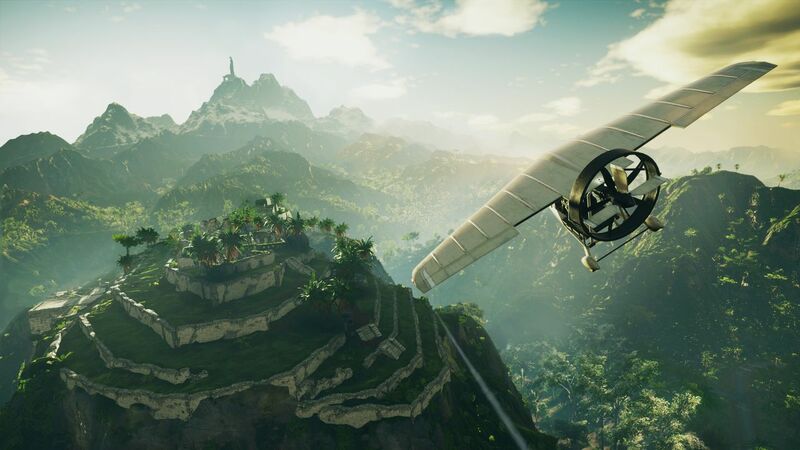 Instead of a slower-paced jaunt through the island, you’re starting things off with mid-air gunfights and a wingsuit – and the chaos only grew from there. The sequel upped the intensity of everything, but was one of the worst-received at launch due to a myriad of performance issues on consoles. 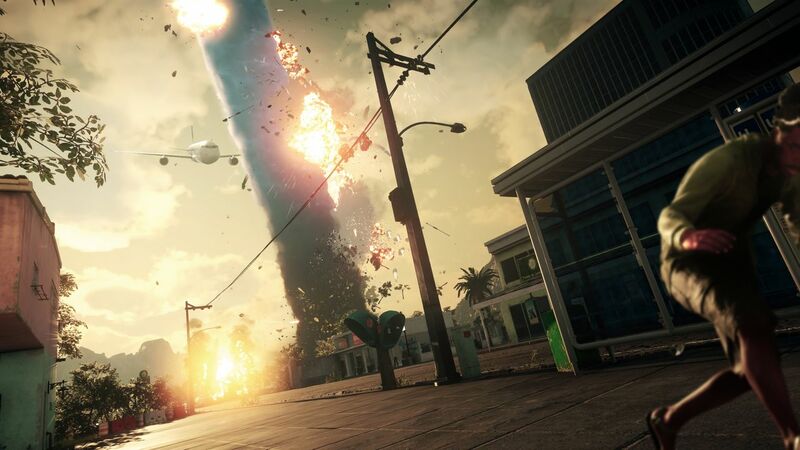 Framerates chugged far too often, and during the large explosion blasts that the series became known for, you could expect things to move at a snail’s pace. Fortunately, when things did work well, the game was a lot of fun. Revamped character models showed off more detail than ever before and the gunplay and vehicle usage was more varied and better-executed than before. 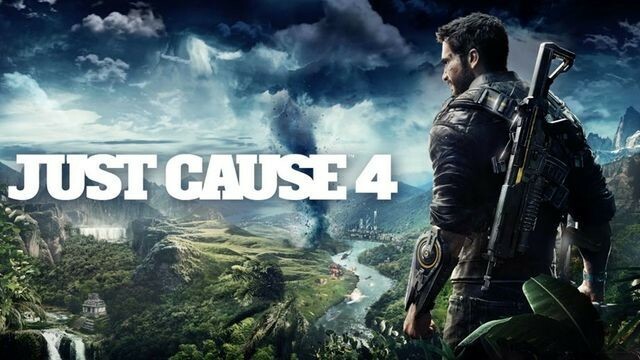 The fourth entry is upon us and Rico Rodriguez is back to save yet another nation from being overrun by evil. Now, he has to create a new band of misfits to help him – and luckily, everyone in the area is a quick learner when it comes to explosives and high-end firearms. Fortunately, the city of Solis has encountered heavy violence for years – so it does make for quick on-the-job training. 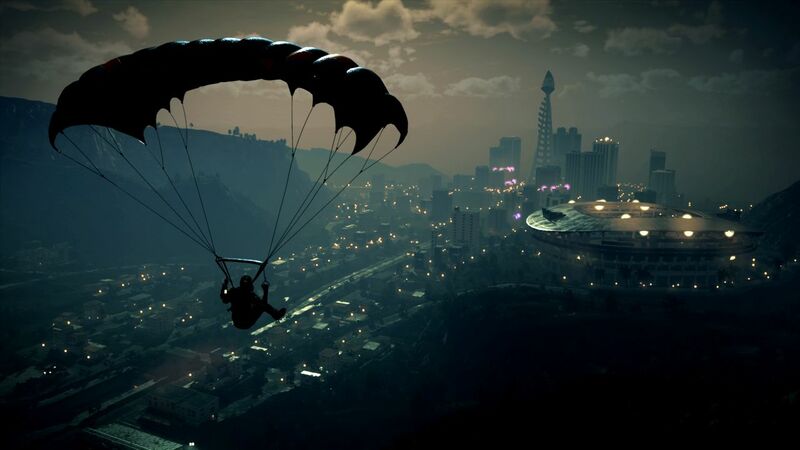 Rico has new allies as they battle the Black Hand – a very powerful private army that has a surprisingly high number of black helicopters with machine guns and a wide variety of troops available at their disposal. The game’s plot greatly humanizes the characters and the world they inhabit in a way that hasn’t been done before in the series. Before you add to your own groups reserves, you hear the characters on the phone talking to their families about their plight. After that, you see them flee and see some of their friends get shot-up by the Black Hand’s troops. Right away, you’re sucked into the world in ways that Avalanche hasn’t really tried before. They slowed the pace down briefly only to ramp it up again quickly – but in doing so, put greater stakes on the adventure. Instead of the goal being to blow up everything in sight, fly all over the place, and kill wave after wave of goons, you now have some real context to it. The core formula is very much like past games – which is both a blessing and a curse. The prior two entries were all about bombastic set pieces, and those are back, but with little new added into the mix. Mission formulas still amount to a mix of busy work and then getting to either kill goons or blow tons of things up. It’s a very fun format, and the game guides you through the busy work so it never gets in the way – but it also doesn’t feel like it’s needed and acts like padding. When you need to find three things or activate switches and the like, it feels like a game that is at least a generation behind what it should feel like. While having this stuff in the game does fit the franchise, it also feels like it’s stuck in the past more than it should. 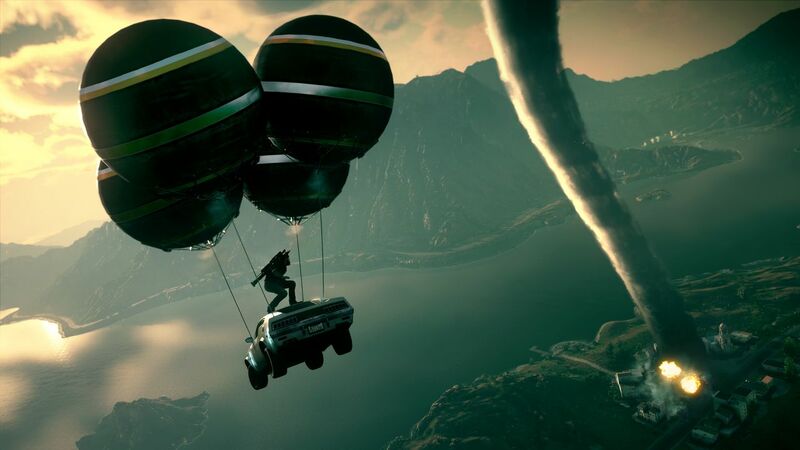 Fortunately, Just Cause 4 succeeds in some major areas that the series has fallen in before. The gunplay is better now than it was before. Each shot used to feel a bit needless and enemies felt like bullet sponges. Now, they still take a half-dozen or so shots to kill to the body, but a well-placed headshot will take them out. Given that you’re in firefights with at least a half dozen enemies and can be surrounded by many things that just blow up after a few gunshots, it’s good to have a system to at least get enemies out of the way quickly. Having regenerating health in a game like this is a godsend too since you can take some heavy fire, take out some enemies, and then quickly come back after resting for a bit. Driving has also been improved a bit and now feels more accurate than it did in the last game, where vehicles felt a bit too heavy and unwieldy. 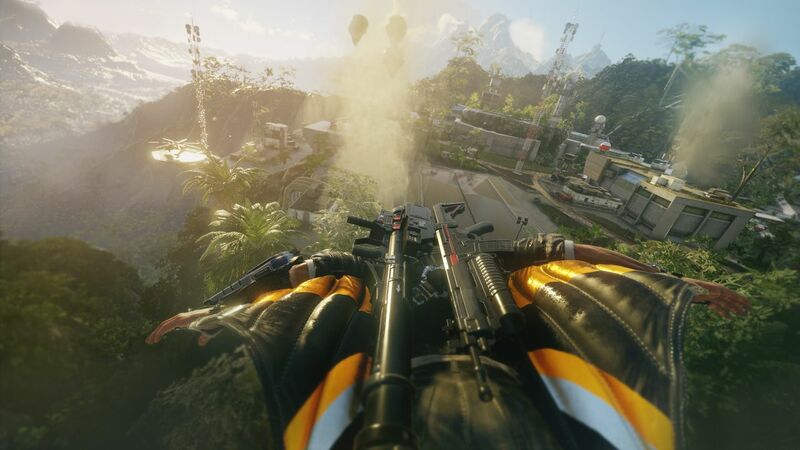 Beyond better gunplay, Just Cause 4 is also a healthy improvement when it comes to performance. 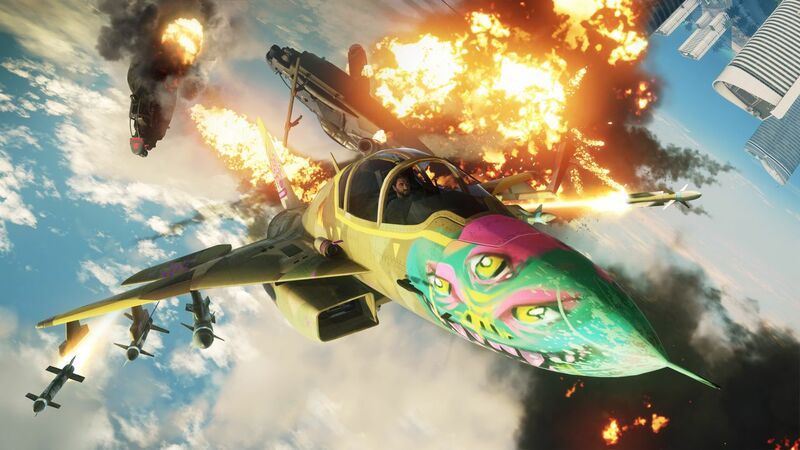 While Just Cause 3 chugged along on all consoles, the fourth entry moves at a more reasonable clip. Before, an explosion-filled section would slow things to a crawl. Now, things work far better and you can count on explosions to work as they should and not cause massive slowdown. There are some big visual caveats this time around though. The quality of the graphics has seen a bit of a downgrade as things like character models and cutscenes have certainly taken a hit. This holds less true on PS4 Pro and Xbox One X hardware – but even there, you see less than cutting-edge character models and environmental textures all in the hopes of keeping the action at a constant clip. 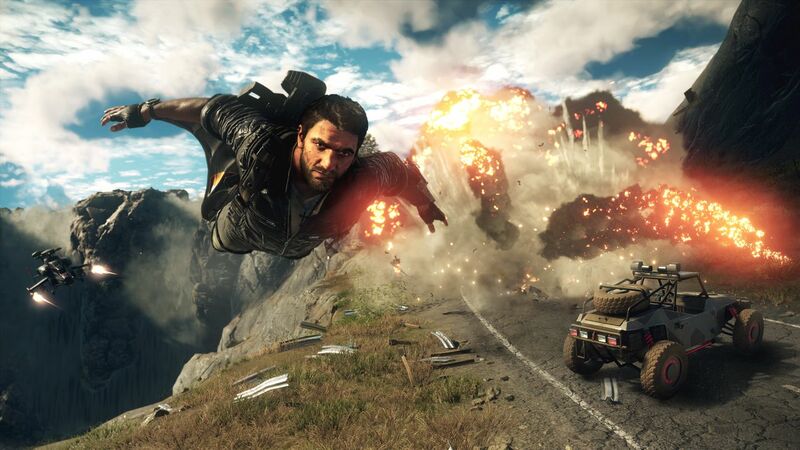 Just Cause 4’s sound design is quite good overall, with some weaker parts when it comes to acting. While Rico and his allies all sound great, the villains in this are stock villains with no real depth to their performances. As a result, the battle against the people in the city has a bit of gravitas, but not as much as it should since you never really take the villains too seriously. Luckily, the story is secondary to blowing stuff up and that sounds great at all times. Whether you’re blowing up giant oil rigs or just shooting tons of enemies full of lead, you can look forward to hearing every shot and blast clearly – especially with a good home theater system or a great set of headphones. 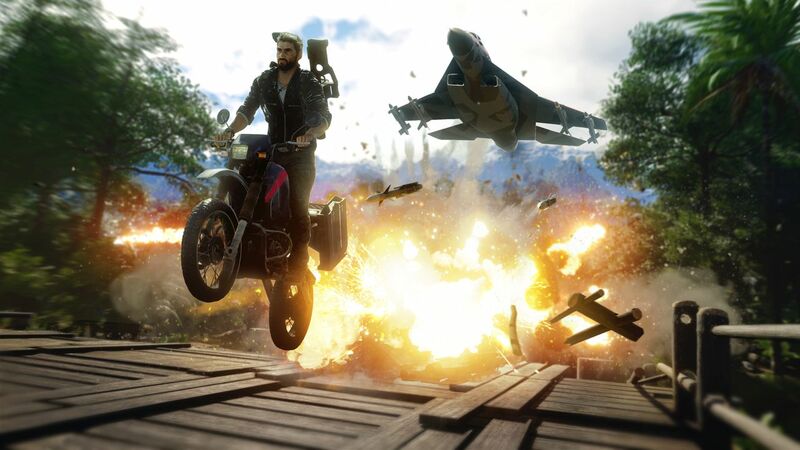 Overall, Just Cause 4 is a fairly big improvement as an experience compared to the third entry. It doesn’t quite reach the heights of the second, which felt like the franchise’s peak at the time and has remained so to this day. This game lacks the thrill of “wow, the series is truly finding itself” – akin to Saints Row the Third doing that for the Saints Row games, and while it is better than the third entry, that’s a fairly low bar to fly over given how many issues plagued the console versions of the game. It performs a lot better, at the expense of the core graphics suffering a bit. The core gunplay and frantic action are better now than before though, but something still feels missing in the overall experience. 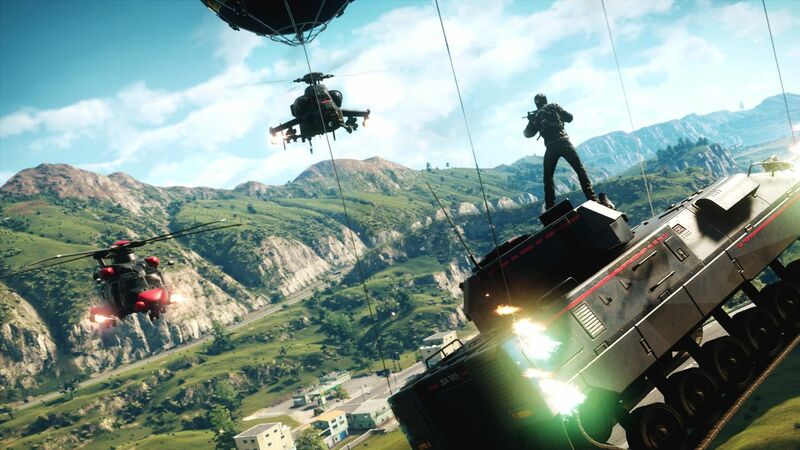 This review is based on a digital copy of Just Cause 4 for the PlayStation 4 provided by Square Enix.